These pasta are so delicious and creamy (without any cream in it) and make a great lunch, dinner and leftovers are perfect for school lunches as well!! It has lots of good nutrients and taste so delicious! Cook the pasta according to package information. Add the broccoli during the last 2-3 minutes of cooking, and drain it all when cooked. Blend avocado, lemon juice and zest, 1/2 cup of basil, cheese, garlic, some salt and pepper in food processor until smooth. Add the olive oil and pulse until creamy. (I like when it is spicy so I add chili flakes to it as well). 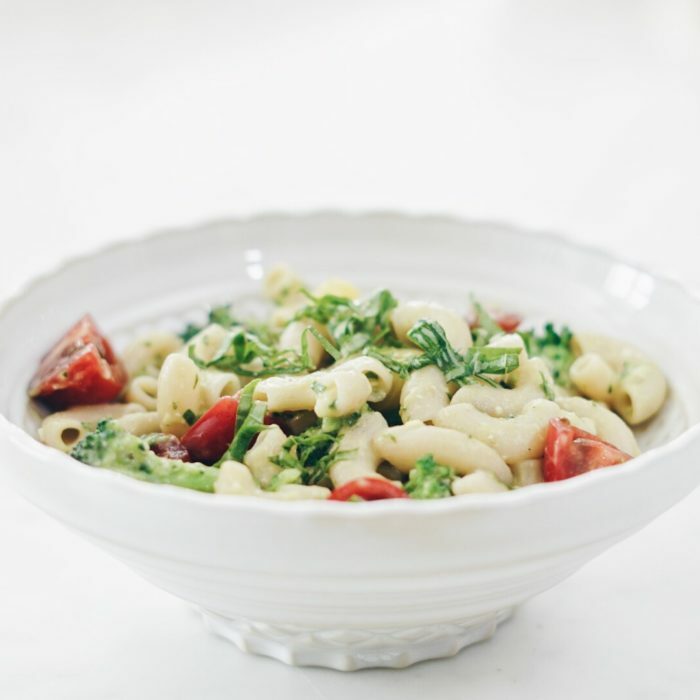 Transfer pesto to a large bowl with pasta, broccoli and cherry tomatoes and stir to coat. Sprinkle some extra chopped basil and cheese and serve.